Drumgoole Financial Services was founded with the goal of assisting our clients in every aspect of their financial lives. We’ve provided the most personal service available, thus earning a reputation for excellence in our industry. For each of our clients we strive to help create financial stability and security to provide financial independence. Our company is based on the principle that education and understanding of your current financial situation is vital to successfully make prudent decisions concerning your future financial condition. If you have any questions about your current financial situation or wish to schedule an appointment, send us an email or give us a call at (410) 638-9779. 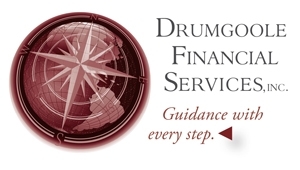 Drumgoole Financial Services helps clients uncover their true financial goals and tailor a snug-fitting personalized plan that addresses the important questions. We develop a strategy and work as partners with clients to simply their financial lives. Whether still accumulating the wealth necessary to retire or transitioning to a plan focused on providing income when retired, we walk alongside our clients providing guidance with every step.